Newquay is a popular destination for families and tourists for its seaside charm, its beaches, the surf and the nightlife. If you are looking for a place to relax and have some fun at night, then Whiskers is the place to be. Winner of the Best Bar and Best Overall Service in Newquay’s Bar and Venue Awards, Whiskers delivers in giving you the best night of your life if you ever find yourself in Newquay. It is even rated as one of the top bars in Newquay on Trip Advisor. They even call themselves the home of live music so you know that Whiskers is guaranteed to give you a fun night. Located in the centre of busy town of Newquay, this bar guarantees to give you what they believe to be the 4 best things in your life: Friends, Booze, Live Music and Cats! At Whiskers you will be able to experience what a true nightlife is all about. 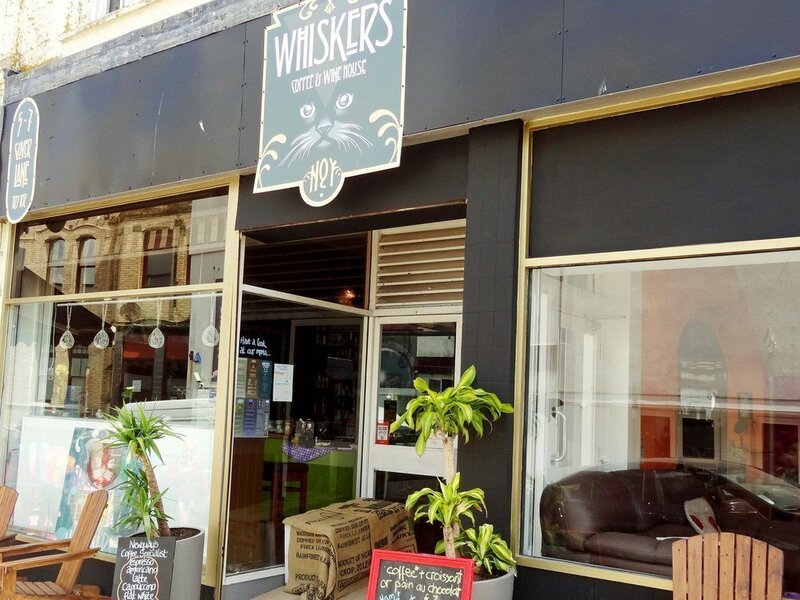 Whiskers offers an array of fantastic drinks for you to choose, from coffee and non-alcoholic drinks to a great selection of premium cocktails, ciders, ales, craft beers, and even wine, all in cat-inspired surroundings and motif. Never a dull moment, Whiskers is guaranteed to tickle your fancy every night of the week. There are open mic nights on Mondays, live music on Wednesdays and they even have DJs playing music on the weekends. Their staff are very friendly and accommodating that they will make sure that you enjoy your stay with them. Want something light? Whiskers offers a variety of coffee and snacks to choose from in the later afternoon to early evening. But when the sun goes down, you can choose from a variety of premium cocktails, wines and other alcoholic drinks to choose from. Their friendly staff is there to help you choose the best drink to match your mood. Many customers who have tried passing by the bar have found themselves fully engrossed in the atmosphere and the quirky surroundings. Even those looking to find a quick drink inevitably stay longer because of the music and the relaxing vibe that can be found nowhere else. Some customers have even claimed that they have the best coffee and the best drinks this side of Cornwall. Whiskers also has several rooms available to choose from depending on your mood. You can even rent out the rooms for groups who are looking to have small private events hosted. But more than the drinks, the real draw of Whiskers are the live musical performances. Enjoy different kinds of music during the open mic nights and live performances. It’s like having a mini-concert on a regular basis with great friends and wonderful staff waiting to take your order. This place is great not just for adults but they also welcome the whole family. They even claim to be eco-friendly as they espouse recycling whenever possible, buy local produce from what is available in Newquay, they offer organic ciders and ales, and are powered by Ecotricity – the world’s first Green Electricity Company. If you’re looking for a place to hangout and have fun with friends, booze, music and even cats, then Whiskers is the place to be!